TCi Scholar Soumya Gupta , a Ph.D. candidate in applied economics and management at Cornell University, reports about her fieldwork in the Chandrapur district of Maharashtra, India, where she is studying how women’s empowerment and participation in agriculture differs across farming systems and how participation in farm and non-farm employment may affect iron deficiency status. The rural poor are among the most food insecure and malnourished people in the world, and are most often directly involved in small-scale agricultural production. Amongst them, women account for 43 percent of the agricultural labor force in developing countries, and slightly more than 30 percent in South Asia and India. However, their access to productive resources, inputs and services for agriculture reflects a ‘gender gap’ that is most often rooted in social norms specific to a given geography and culture. Women may have less access to productive resources such as land, agricultural inputs and services like credit, as well as time, especially considering the many responsibilities women carry out within households in addition to agricultural labor (e.g. caring for children and the elderly, fetching water and fuel, and tending to domestic chores). 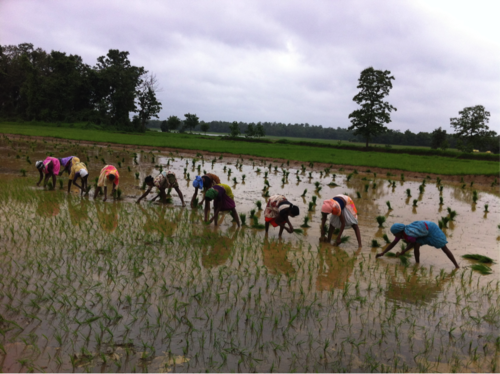 The nature of the farming systems in which women practice agriculture may be quite important for determining the extent of the disparities observed through this gender gap. However, very little research has systematically examined the connection between farming systems and the status of women, or their level of empowerment, relative to men, specifically in the domain of agriculture. Further, a comprehensive account of how women’s empowerment in agriculture mediates micronutrient intake has been lacking. This is particularly important for understanding nutritional anemia that results, most commonly, from an inadequate intake and/or absorption of iron. To me, these research questions seem important because women of the reproductive age group in rural India form an integral part of the agricultural labor force. At the same time, they constitute a population group that is vulnerable to iron deficiency in general, and anemia in particular. 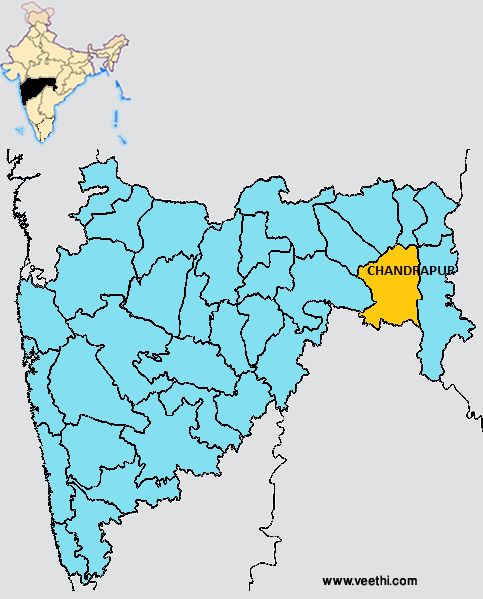 A range of cropping systems and practices characterizes Chandrapur. Common cash crops in the region include cotton and soybean, while food crop cultivation includes paddy, wheat and lentils. It is also home to coalfields, cement factories and paper mills – all potential sources of non-farm employment. I will be using the women’s empowerment in agriculture index (WEAI) developed by IFPRI and its partners to measure women’s empowerment in the region. This is the first time this index is being developed for an Indian context. Along with Kasim, my project coordinator, I am currently visiting all 15 blocks in the district to assess the spatial distribution of predominant crops being cultivated. From this experience, I am gaining a better understanding of how I might construct and eventually extend my survey. We are trying to assess how certain questions are perceived by the respondents, how they interpret them, and what the range of response options might. It is important that these be developed for the local context and this is what our aim is for the next few weeks. We interact with groups of men and women which include large and small farmers, landless laborers, women agricultural laborers, village health workers (aanganwaadi workers) as well as the village headmen/head-women (Sarpanch). I speak Hindi (my native language) and thanks to Kasim, I am gaining a better understanding of Marathi, the native language spoken in Maharashtra. Developing an appropriate survey instrument and understanding the context that these women live in is overwhelming at times. My committee members have repeatedly assured me I’m not the first graduate student to feel this way. I keep reminding myself that has got to be true. Everyone has a story to tell and I’m doing my best to listen and try to understand the choices, behaviors and options available to the people with whom I interact. From the saree-clad grandma who sits by the door to the little girl who stops playing to stare at us as we walk by, people are curious to know why we are asking questions about agricultural practices and food consumption habits. Several women have laughed shyly when, for instance, we ask them “what did you cook for lunch today?” Sometimes they need to be nudged gently to divulge information. Sometimes they offer more insight than we expected. In the months to come I hope to share some of my experiences visiting the villages of Chandrapur and setting up the household survey. Irrespective of the extent of poverty, people let us into their homes (and their lives) with incredible dignity and self-respect. I just hope I am able to do justice to their thoughts and concern without being clouded by my own notions of how things are/ought to be.